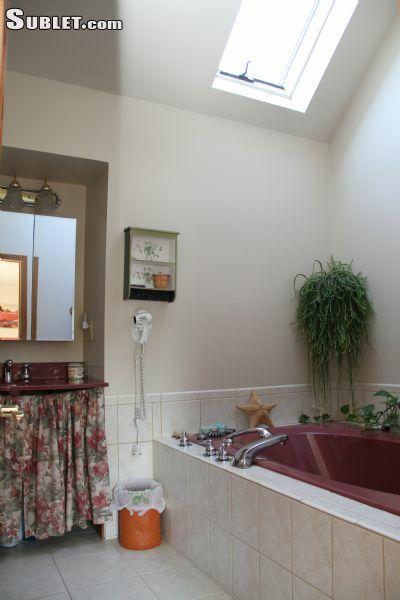 The privacy and convenience of an apartment, with the luxury of a bed and breakfast! Perfect for the corporate traveler on a long term assignment. 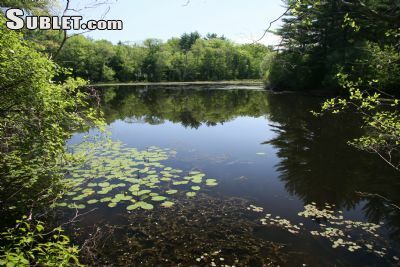 The location is gorgeous, nestled in the woods with a views of the pond and cranberry bog. A fully furnished 780f. 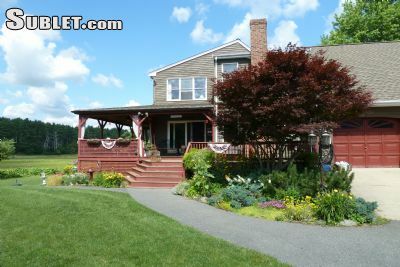 apartment located in a bed and breakfast. 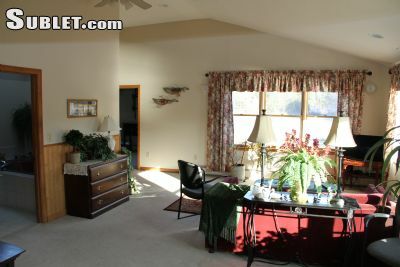 The apartment includes a bedroom, large living room, 4 piece bathroom with large Jacuzzi tub, and ample storage. 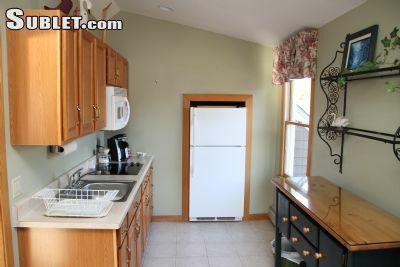 There is a fully equipped eat-in kitchen with an electric cook-top, microwave and coffee maker. You will have access to laundry facilities on site. 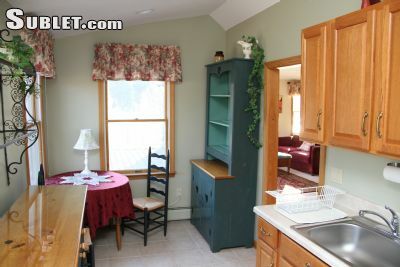 Breakfast and housekeeping from the B&B are included in the rent. Available for short and long term rentals, pricing is determined based on length of stay. Price about shows a full month rental - this included housekeeping and breakfast. 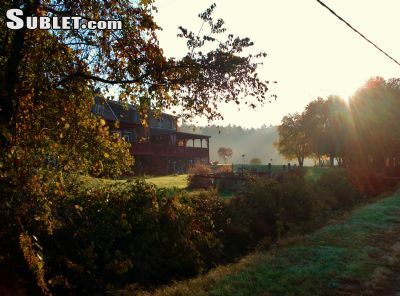 Stays can be as short as a few days, and can be booked through the bed and breakfast website.